Nintendo has officially released details of the next Splatfest event in Splatoon 2 after the Nintendo Switch Online system has gone live. 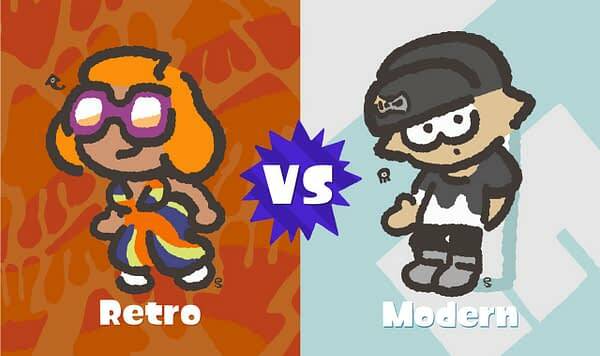 This time around it will be a battle of fashion as you will splat paint on each other over two fashion choices: Retro or Modern. The company also posted an official notice to their player base reminding them that Splatoon 2 is no longer free to play online on the Switch. The company will launch the new Splatfest on September 21st at 9pm PDT and run it until September 22nd at the same time. Best of luck to you all!